After two surgeries on his face, there was hope Poile could make the trip, but during media availability Monday morning after Team USA's first practice, it was confirmed the GM would be staying home. “He’s back in Nashville getting great care," said Jim Johannson, assistant executive director of hockey operations for USA. "It’s just not advisable for him to come to Sochi with everything he still has to deal with." “We’re going to miss David as a friend, more than anything," said head coach Dan Bylsma. 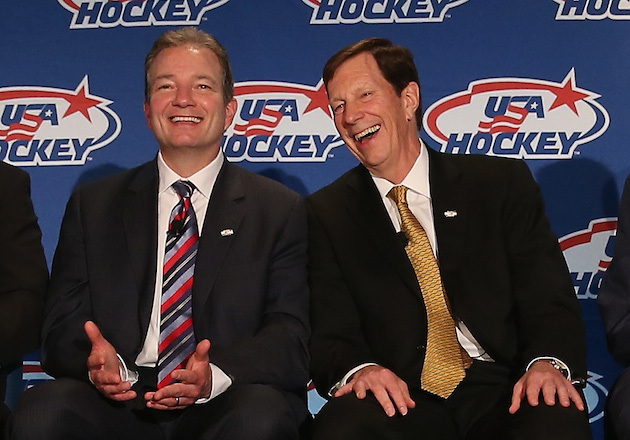 Assistant GM Ray Shero, who broke the news to the team Monday, will handle his duties while in Sochi, but Poile will still be involved in decision-making back home in Nashville. "From David's situation, difficult news for me having worked for David for eight years in Nashville and knowing as I told the team today how much passion, time and effort he has putting this team together," Shero said. "We'll keep the seat warm here."